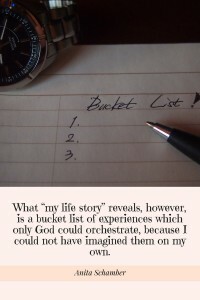 Many people have seen the movie, “The Bucket List,” in which two dying men (Jack Nicholson and Morgan Freeman) create a list of things they want to do before they die. Ignoring their illnesses, together they abandon their hospital beds and set off to travel, engage in daring activities, and finally, face issues buried deeply in their hearts. In Ecuador, I straddled the imaginary line known as the “equator” with one foot in North America and the other in South America. In South Africa, after a day of training leaders in a game park setting, I slept in a large tent and listened to the nocturnal wanderings of some of the “big five” game animals as they brushed against the canvas. In Dubai, I bounced over moguls of endless sand dunes in a fast moving dune buggy, and then shared the hump of a camel with a World Vision colleague for a slower paced stroll. In Costa Rica, I lived for a week in a simple Habitat for Humanity cabin, peered into the blue pool of an active volcano, and inhaled the delightful aroma of coffee grown at the plantation where we stayed. In Senegal, I was blessed to be baptized, at age 63, surrounded by a community of leaders from 11 countries who became a celestial choir as I came up out of the water. In Romania, I embraced and played with preschool children at various stages of death from AIDS, and was confronted by the fear this horrible disease arouses. In South Africa, I was privileged to sit in the prison once occupied by the great Nelson Mandela on Robben Island. In Zimbabwe, after trailing my guides for more than a mile through tall, knife-edged grass in the darkest of nights, I met my child that I sponsor through World Vision, Talent. In Thailand, I was part of a team hosting a Global Women in Leadership Conference, a first for the 80 women and 20 men who attended. 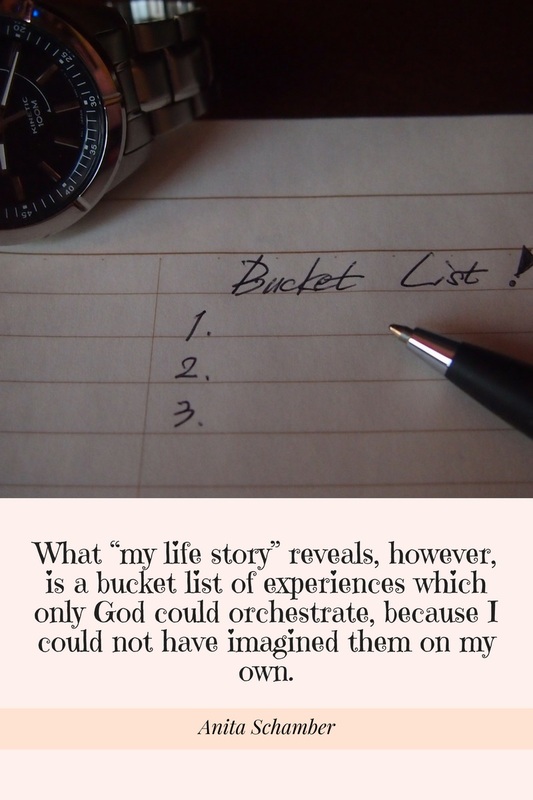 These “bucket list” experiences, coupled with others, fit together like beads on a necklace created especially for me to appreciate, as each shaped my spiritual growth and gave meaning to my life purpose. Although the design still isn’t perfectly clear to me, I can trust that one day all of the mysterious pieces and missing links will come together in God’s perfect timing. Consequently, I live with expectancy each day– seeking to notice what God is up to and respond to His plan for my participation in it. As you reflect on your life story, what unexpected experiences stand out – events or experiences which you didn’t orchestrate on your own? What did you learn from them? How have they given your life meaning and purpose? How do they reveal something of God’s nature?